nothing can prepare you for a week long event in your own city that is the likes of San Francisco Beer Week. it’s starts with a party in the shape of a beer festival and ends exactly the same way 9 days later. that’s right, it’s so big that the week has to have one more day then that Beatles song. we’re celebrating Motors B-Day by recording it. anyone can come. kids are welcome. leave the woofs and kitties at home. we’ve been going to the Toronado on the Night Before for years. but it wasn’t until last year that we decided to make a night of nights of it. the idea is simple. bring some food. drink beers with bows on them. that’s it. everyone shares the night. don’t like holiday because you don’t take sides with an invisible man but don’t want to be left out of the fun? join us for Festivus. it’s for the rest of us! every first Saturday in November is Teach a Friend to Homebrew day. events were happening all around the country. it’s a good reason to be outside. besides drinking beer, and watching football we brewed ten gallons of beer with Richard from Elizabeth Street Brewing. lots of people showed up bringing more beer, some food and an appetite to learn about making beer. what they learn is that it’s a all day in the backyard experience. Live from the 21a: talking about the 21st Amendment. This is cool. For the week of May 14-20 everyone can participate in the Great American Beer Tour. Well I guess you can’t if you live in Oz or Belgium. So if you live in the US it’s simple and doesn’t cost anything to join. You need to download a passport that you take to your pub, tap house or brewery order a pint and have them stamp it. You get 1 point per visit and 2 points if your local is a member of the Brewery Associates. 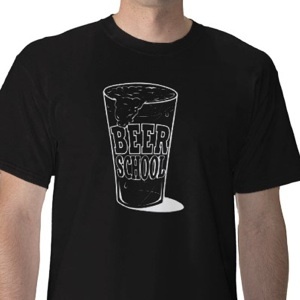 Beer School live at City Beer! 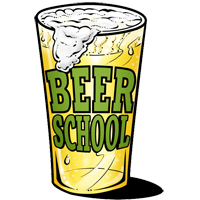 We’re recording the next Beer School podcast at City Beer in San Francisco this Sunday at 1:00 PM. Please join us for the show which you can be a part of as this episode is called “Buy us your favorite beer!” CB has like 500 different beers so you should be able to find yours. As it’s a tasting you only have to buy 1. While we’re drinking your chosen beer you get to tell a story about it! Of course you can have some too. Here’s the link for that fest at Triple Rock in Berkeley.